At Thanasas Family Dental Care, we have several options for replacing missing teeth. If you have a tooth that has been knocked out in an accident or was removed due to decay, we can perform a procedure to replace it so you can regain the full functionality and appearance of your smile. If you live in Troy, MI or the 48085 area, we invite you to call (248) 260-2878 and schedule an appointment with our dental office. After examining you, Dr. Manolis Thanasas D.D.S. will make a recommendation as to which procedure is likely to provide the best results for your appearance and lifestyle goals. In our Troy dental office, we understand the importance of choice. We know that when we see 10 people with tooth loss, each of them will have a slightly different goal and their lifestyles will be different. Things like the type of food you like to eat, whether or not you play sports, if you are outgoing and gregarious or prefer to keep to yourself can impact which tooth replacement option is right for you. This is why when you come in for a consultation, we will take time to ask questions and get to know you. Asking about your hobbies and whether or not you work out may seem out of place for a dentist, but everything works together. For example, if your hobbies involve singing in the choir, dentures may not be a good solution for you because they could pop out of place. Simultaneously, if you like to run marathons, you will need a tooth replacement solution that will not become loose with aggressive impact. After asking you questions and conducting a physical examination, we will make a recommendation as to which option we feel will work best for your lifestyle. If you are a good candidate for all of them, we will let you know that as well, so you can ask more specific questions regarding the procedures and cost involved. At Thanasas Family Dental Care, we can give you a well-made and durable replacement tooth, regardless of which option you select. However, if you are looking for a replacement option that looks, feels, and behaves like a natural tooth, a dental implant is the most effective. When completing this procedure, we implant a titanium post underneath the gums and secure it to the jawbone. This serves as a replacement root system. Over the course of one to several months, the titanium and bone will fuse together to create a new root system that is as strong as the original. The process of osseointegration makes it possible for us to give you a sturdy and durable tooth replacement you can count on. In our Michigan dental office, we will then attach a new tooth that has been specifically created to blend in with your surrounding teeth. An implant is the next best thing to a natural tooth. It is important to note that this is a surgical procedure, and in order to qualify, your jawbone will need to have sufficient density. As such, not everyone qualifies for the procedure. There are, however, other durable replacement solutions, such as a dental bridge. 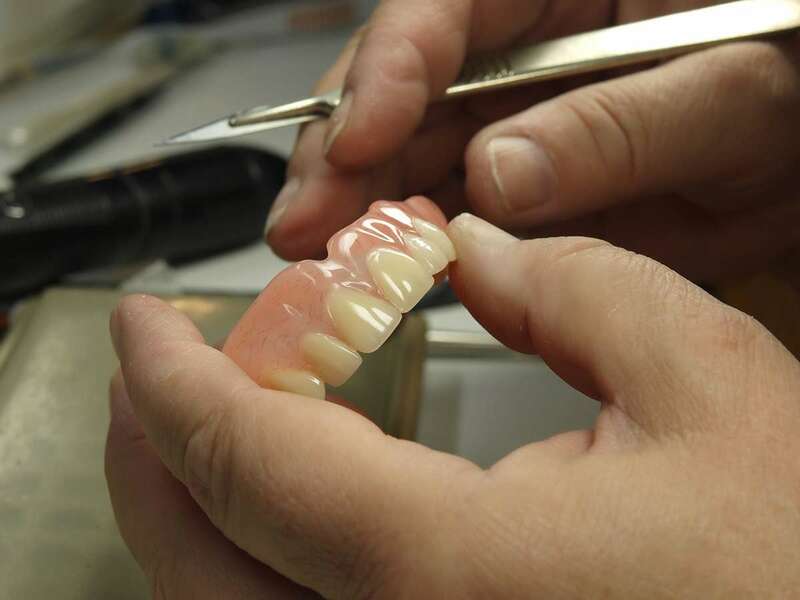 A bridge is created by securing a dental crown to the two teeth surrounding the missing one. These crowns serve as anchors to hold a gum-colored bridge in place that a new tooth is secured to. This is the most durable, non-surgical solution you can get to replace a missing tooth, because it is firmly attached. Many of our patients prefer this as an alternative to dentures, while being less invasive than implants. During a consultation, Dr. Manolis Thanasas D.D.S. can explain the benefit of both options so you can determine which solution will work best for you. Additionally, if you have any restrictions, such as your remaining teeth not being healthy enough to support a bridge, we will let you know and suggest a different solution. Check out what others are saying about our dental restoration services on Yelp: Options for Replacing Missing Teeth Troy. At Thanasas Family Dental Care, our goal is to provide you with a tooth replacement solution that is beautiful, natural-looking, and will work for your lifestyle. Age, while a factor in healthcare, has less to do with your ideal tooth replacement solution than what your lifestyle is like. For example, you could be a senior and not want to wear dentures, even though they are common. Regardless of your age, if you lead an active lifestyle, dental implants could be the best solution simply because they are the sturdiest and will allow you to maintain all of your activities. One thing to be aware of, and this does not have to be age-related, is that when you lose a tooth, the process of resorption starts. This is when the body starts to leach calcium from your jawbone and distribute it to the rest of the body. The longer you wait to visit our Troy dental office and have the tooth replaced, the less bone density you will have. When you then go to replace the tooth, your options could be more limited. This makes losing a tooth an urgent matter to attend to. We recommend that you call 248-260-2878 and schedule an appointment with our 48085 dental office as soon as your tooth has either fallen or been knocked out. During your appointment, we will examine your gums, take x-rays, and make a recommendation as to which tooth replacement option will be best suited for your needs. Acting on this quickly will help in restoring your appearance and oral health. To learn more about dental options for replacing missing teeth, call and schedule an appointment with our Troy dentist office today. Back to top of Options for Replacing Missing Teeth.